Home > Vegetables > Garlic Items - Misc. Also in Garlic Items - Misc. GarLic It! 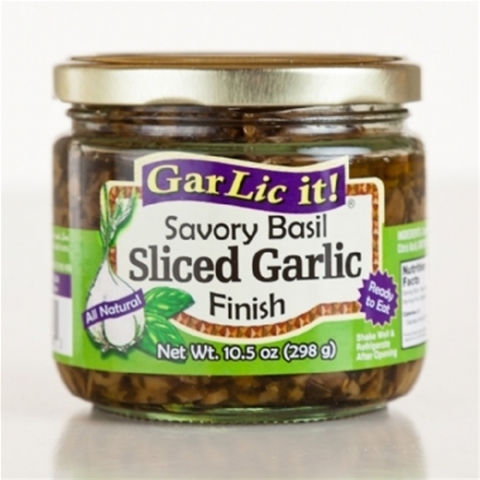 Savory Basil Sliced Garlic Finish. Ready to eat on appetizers, poultry, fish, pasta, salads & more. Add at the end of cooking for a restaurant flavor. All natural.